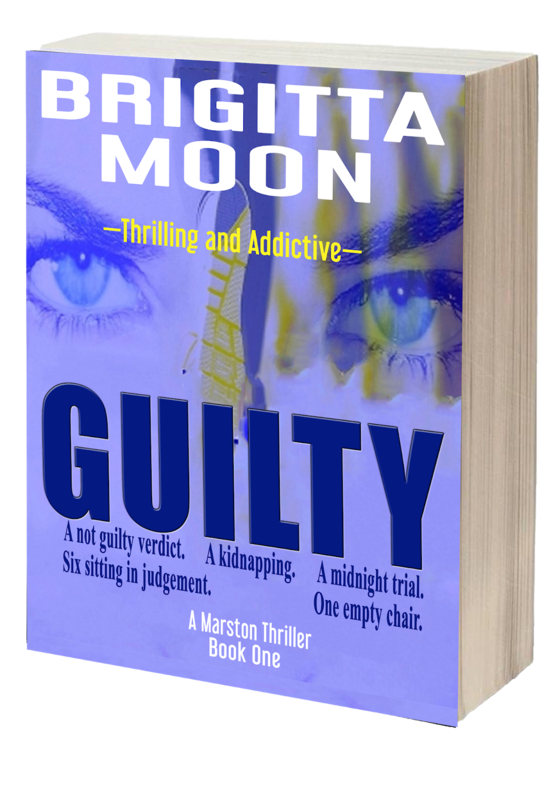 BRIGITTA MOON BOOKS: What is The Marston Series all about? Marston is a fictional town lightly based on Baltimore City and the surrounding counties in Maryland. As of this writing, there are four books in the series with the fifth book due out this year. Book One - GUILTY - begins the series. Rose is a high school student with the promise of a bright future as a doctor. Her father has been saving for medical school, and she has offers of scholarships. Coach Terrence Jackson is a highly respected football player turned high school football coach after an injury. He has a dark past no one knows about - until the not guilty verdict. The verdict leaves Rose to struggle with putting her life back on track while the coach continues with his life as if nothing has happened. Linsey is new in town. They call her Judge. She has a plan—a midnight trial. The verdict? Only grabbing your copy of GUILTY will answer the question. The audiobook is available now! The Marston Series is also available at other fine stores at this link. As always, thanks for stopping by.